Camp Holsby. The same place, but with a new name! This last year we’ve been going through a bit of a rebranding process in the Camps and Retreats part of the ministry. As part of a push to connect better with both Sweden and the German speaking countries, we are officially launching our new camp website this winter. Please take the chance to surf through the new pages of the website and, of course, to watch our camp video. Above all, spread the word about Camp Holsby! 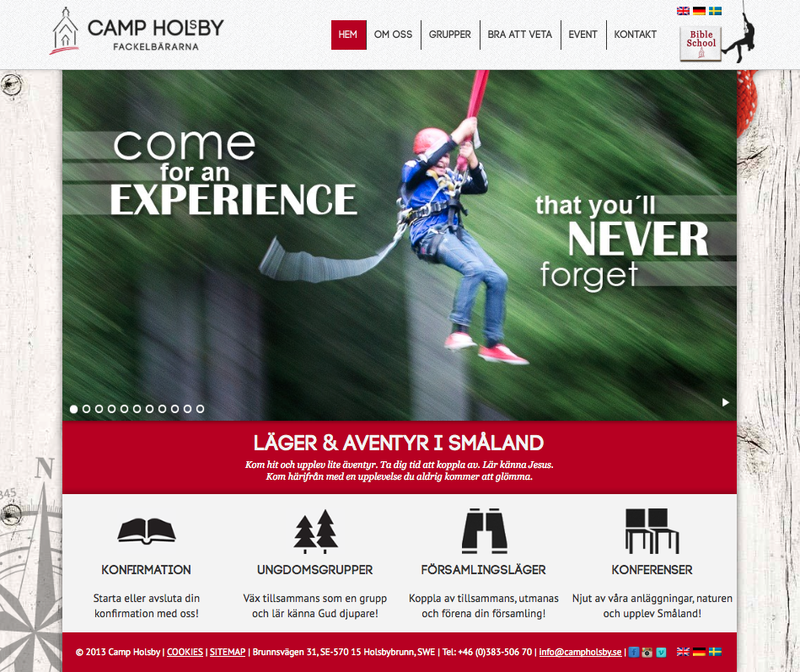 Click on the screenshot below to see the new Camp Holsby website. As the new calendar year comes upon us, may we remember why we even count the years as we do. As we look back on the celebration of Christ’ birth let us look forward to this new year with Jesus as leader of our lives. Happy New Year from all of us at Camp Holsby!